The Tweed River Festival is back to celebrate the river and waterways as well as the community! The 2016 edition is going to be even more special as the host of the main event is also celebrating its 150th year. 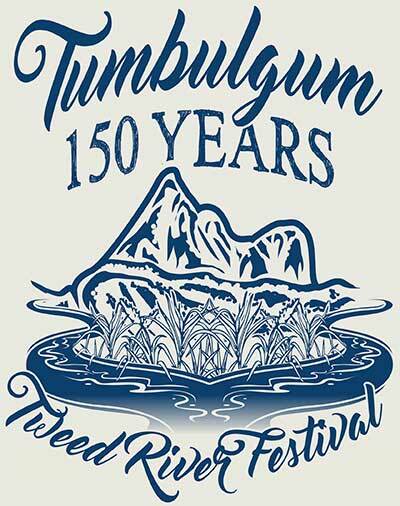 Tumbulgum, the premier rural village in Tweed Shire was established in 1866. It was originally known as “Tweed Junction” but was renamed to Tumbulgum which means ‘meeting place of the waters’. To commemorate this wonderful occasion, the festival is showcasing several educational and fun activities for everyone. So gather your family and friends and head over to Tumbulgum on November 12. Begin your journey by visiting the 1913 heritage listed Tumbulgum Hall. The Tumbulgum Community Association will be displaying an extensive record documenting the history of Tumbulgum. For a more exciting discovery, join the guided Heritage Trail and journey through the Village. You can also take part in river cruises and witness the natural beauty of the Tweed and Rous Rivers. If you want to watch some live entertainment, there will be performances on the Main Stage, Tumbulgum Hall and along the river bank. Catch the Cadillac Rockers, Kazah Duo, Lissy Stanton Band, Mohini Cox, Seven Deadly Swings and Tumbulgum Public School on the Main Stage while you can see Arte Gitana Flamenco and Voice Weavers at the Tumbulgum Hall. There will also be street performers, care of the Hoopla Circus and Roving Butterflies complete with balloon artists and face painting sessions; not to mention, primitive skills demonstrations and weaving workshops. To see the historic boat display and ski show, head to the river. When you get tired or hungry, visit any of the great eateries in the village namely The Bearded Baker, Birdwing Cafe, House of Gabriel and Tumbulgum Tavern. But make sure to head back for the laserlight show, spirit fire and the lantern parade. After a fun-filled day, you are welcome to stay at the Cabarita Beach Resort. We are just a 20 minute drive from the festival venue. Make our luxurious and relaxing Tweed Coast accommodation your home during the festival.